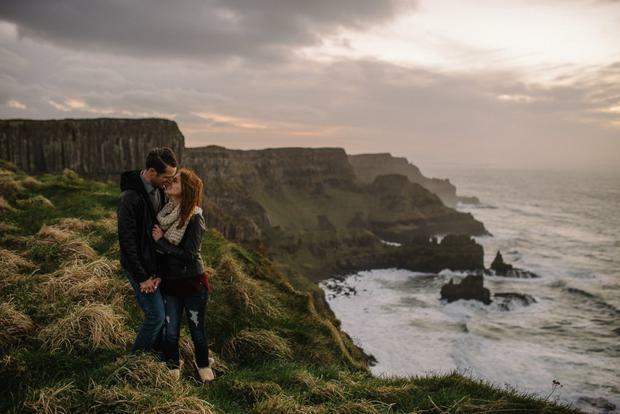 From epic, Game of Thrones worthy locations to peaceful beaches, pretty pubs and sprawling national parks, Ireland is awash with incredible places to stage the perfect proposal. And while lots of people are beyond happy with a romantic 'will you marry me?' whispered over a cup of tea in the kitchen on a random Saturday morning, or even a 'so, will we go for it?' after an emotional chat over a bottle of wine on the couch, for some folk, only the grandest of gestures will do. 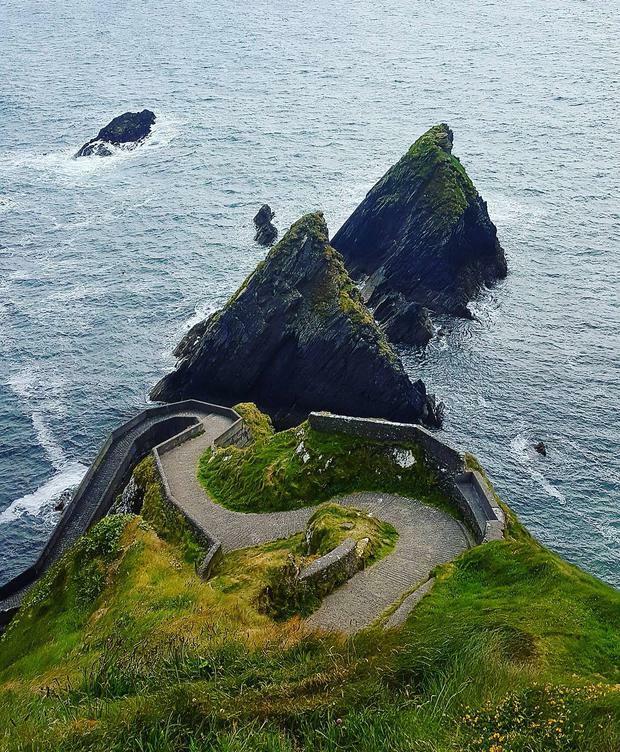 Luckily, if you want to pop the big question against a rather breathtaking backdrop, there are plenty of stunning spots on the Emerald Isle to choose from. Disclaimer: Searching for the most spectacular spot to pop the question can make for a fun hike but always remember safety first. Before you set out, ensure you are legally allowed in the area and that you're not putting yourself or your other half in any danger. So, without further adieu: Here are some of the most beautiful places to pop the question around the country. Happy proposing! Glorious Gougane Barra is a picture-postcard representation of Ireland tucked away in a secret valley in Ballinageary, West Cork. If you've not been there before, the sticky, steep drive through the forest can feel like a bit of a tumultuous journey to get there (especially when it's dark and rainy, speaking from experience) but it makes the arrival at the breathtaking, peaceful lake all the more memorable. If the weather's good hire the row boat from the hotel, and declare your love Notebook-style to your lucky lad or lass. 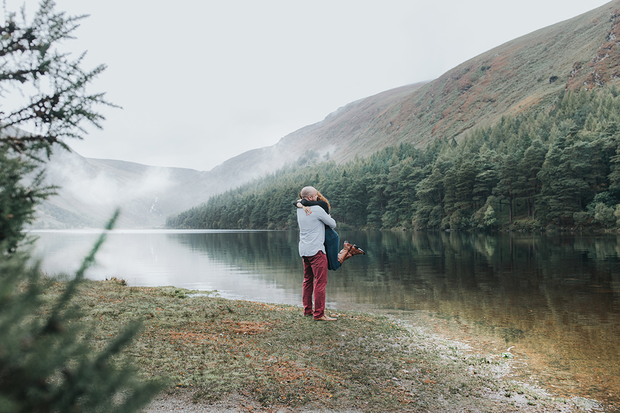 For Dublin-city dwellers, Glendalough is the gorgeous getaway many couples flock to for a weekend hike; blowing away the cobwebs from a night on the town, refreshing for the week ahead, or just trying to get the perfect Instagram to tide them over until Sunday brunch. And if you are fond of a wanderlust hashtag, the waterfall at Powerscourt is just the spot to get down on one knee for a big romantic 'will you marry me'. Bring along a backpack stuffed with bubbly or fizzy lemonade and a blanket and you have yourself a very merry picnic before heading off to tell everyone the news. 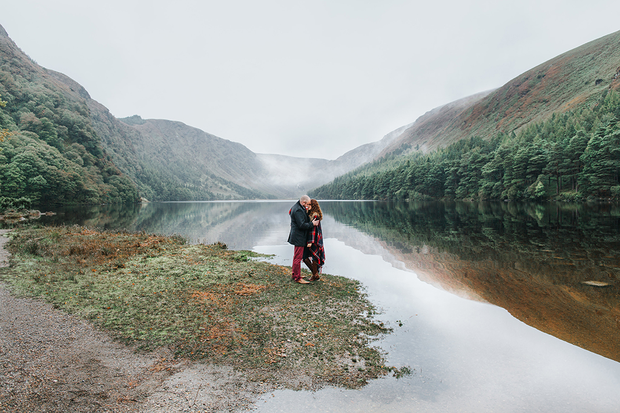 If you're a regular VOW reader, you'll know we featured a stunning surprise engagement at the stirring Lough Tay last year, and indeed the 'Guinness Lake' is surely up there with the most breathtaking spots to pop the question to your outdoorsy other half. 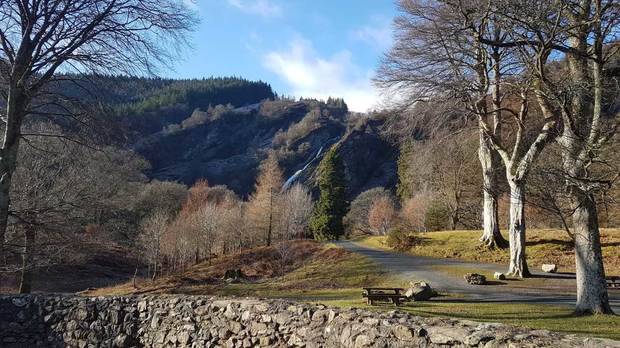 Take a drive up the Wicklow Mountains and stop off anywhere around the lake (it's 360 degrees of beauty, although the best viewpoint is said to be along the Military Road above, at the junction with the Wicklow Way). Have a booking at a city hotel arranged for the night, and head there via Johnson's Court off Grafton Street, where you can stop off, hot chocolate in hand, to try on engagement rings along the way. It's almost impossible to refer to The Skelligs now without the recent Star Wars coming to mind, but the rugged, uninhabited islets off the coast of Kerry were there before Luke Skywalker, and will be there after. Star Wars however has to be mentioned, as the filming of some of the franchises biggest scenes have opened The Skelligs up to a swell of tourism, not that it was all that easy to get to them before a cloak-clad Mark Hamill set up shop there for a couple of months. An epic place to propose sure, but you're talking a couple of months to get on one of the often booked-out boats, and even still with weather on the west coast it's the luck of the draw if you'll get out on the day. Happily however no matter where you choose to pop the question, if you're on the coast (but not too close to the edge!) you've already got a beautiful backdrop to work with. 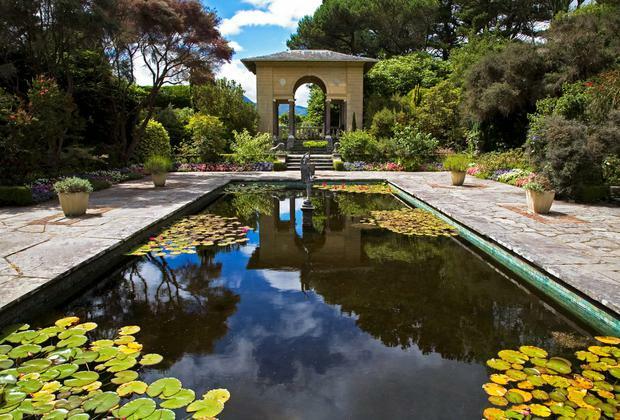 Garnish Island in Bantry Bay West Cork is home to one of Ireland's most beautiful gardens, made all the more pleasant for its warm micro climate. The only way to get out to Garnish Island is with the Harbour Queen Ferry from the main pier. Once over there you can wander through a sea of exotic flaura and fauna in the subtropical weather (yes please!) before getting down on one knee in the Italian Gardens. You'll have to time this one if you want privacy of course, Garnish Island welcomes thousands of tourists every year, so having the gardens to yourself will be a push! Stay the night in Eccles Hotel in Glengarrif, where Pippa Middleton spent the night when she was over for her pal's big day earlier this year, and treat yourselves to a room with a view. The Giant's Causeway may be one of Northern Ireland's most recognisable tourist attractions, but it's the cliff path walk overlooking the coast that makes for the most spectacular scenery in Game of Thrones country. Tie in a few more magical moments like the Carrick-a-Rede rope bridge walk (another one of our picks for a proposal, but one that will be by no means private! ), a trip to Bushmills' distillery and a gander at the 'Dark Hedges' while you're at it and you have yourself a picture-perfect proposal day out! If it's good enough for McIlroy to marry in... One of Ireland most luxurious of castles is ripe for a romantic proposal (in fact it was voted one of the world's most romantic places to propose by Conde Nast in 2014). 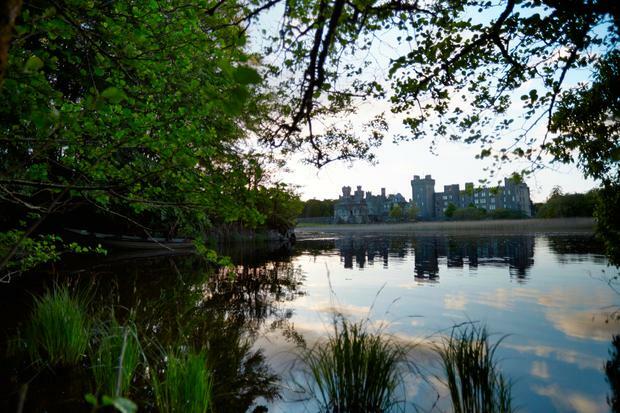 Ashford Castle in Cong provides a fairytale backdrop for an engagement, your only trouble will be trying to whittle down the perfect place there. Pop the question on the nearby lake cruise, during a walk of the sprawling grounds, or over afternoon tea with the stunning Downton Abbey-esque five star space. If you can afford to stay the night after all the better, but we're sure it won't be a deal breaker. Visit ashfordcastle.com for more. 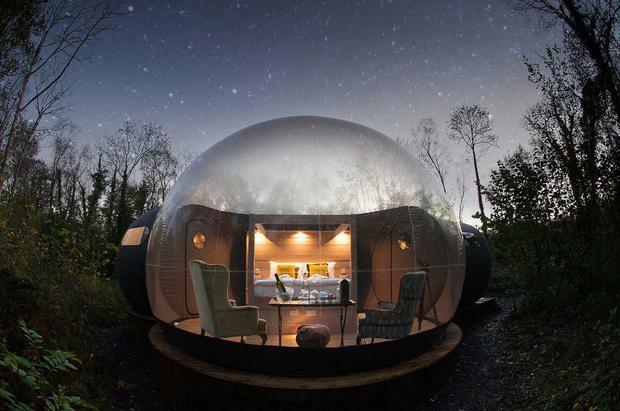 The bubble domes at Finn Lough have become a bucket list getaway for a lot of people (myself included! ) and tying in an ultra romantic night under the stars with a 'will you marry me?' is a sure-fire step towards a big fat 'yes'. The domes are open all year, but January to March are said to give the clearest views of the Milky Way. Visit finnlough.com for more. So this spot might be known as the brilliant backdrop to that sheep herding postcard, but it's very romantic once you're actually there. Cycling the Ring of Kerry you won't be short of places to stop and pop the question, but this is one you might just find yourself a few minutes of quiet if you take the hill down onto the steps themselves. Have your best gear on however because you're guaranteed to end up on someone's camera roll. Who knows, you may even go viral. For many people thinking of rugged, romantic Ireland, the Cliffs of Moher immediately come to mind. Indeed for visitors to the Emerald Isle in particular the Cliffs have a draw that makes them want to travel all the way to exchange, or renew vows or to pop the question. And who could blame them? The ONLY trouble with this one is ensuring the weather for it. 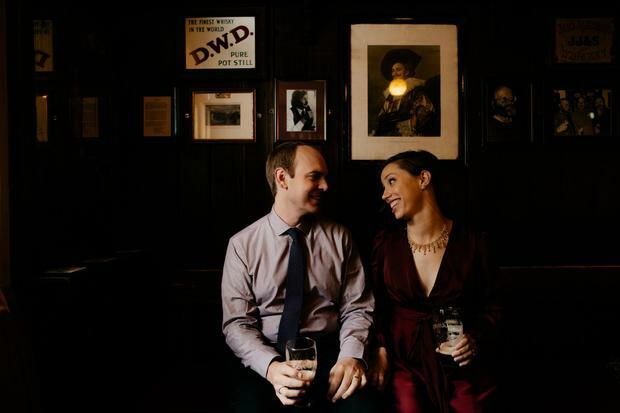 Jeff Gear, managing director of the family-run Gear Jewellers in Dublin put together this excellent interactive map of the most romantic places to propose in the world to help his couples plan the ideal proposal. From romantic cities to blissful coastal scenery and placid Pacific islands, the storymap covers a captivating spectrum of beautiful spots for popping the question.